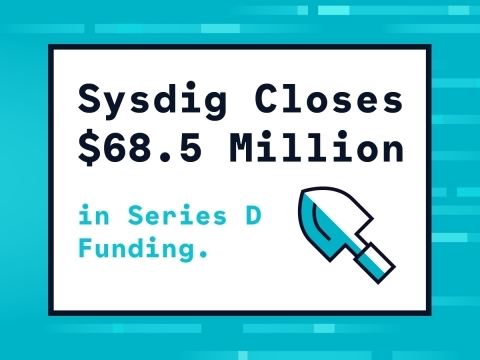 SAN FRANCISCO--(BUSINESS WIRE)--Sysdig, Inc., the cloud-native intelligence company, today announced it raised $68.5 million in series D funding, led by Insight Venture Partners, with participation from previous investors, Bain Capital Ventures and Accel. This round of funding brings Sysdig’s total funding to date to $121.5 million. Sysdig will use the funds to extend its leadership in enabling enterprises to operate reliable and secure containerized infrastructure and cloud-native applications.